"Three years on from the critically acclaimed ‘Here’s To Taking It Easy’, Phosphorescent returns with the career defining ‘Muchacho’. As 2012 began, Houck’s life began to unravel. A domestic crisis meant he had to find another apartment / studio at short notice, in the dead of winter. His life was falling apart, but almost perversely, “songs just started happening, and there were five or six of them.” Houck admits he was “in the middle of a bit of a freak-out,” so in the small hours one Sunday, he booked a ticket to Mexico, on a plane that was leaving three hours later. “It sounds really cheesy, but I went down there with a guitar and got a little hut on the beach in Tulum, on the Yucatan Peninsula.” After a week there working to finish the songs that would become Muchacho, he went back to NYC, found a new place, fitted it out and began tracking the record in May 2012. It’s indicative of Houck’s distinctive talent, dedication to his work and trust in his muse, then, that a temporary hurdle didn’t become a serious block. “I got clear of it by just getting to work on the recording,” he says, simply. 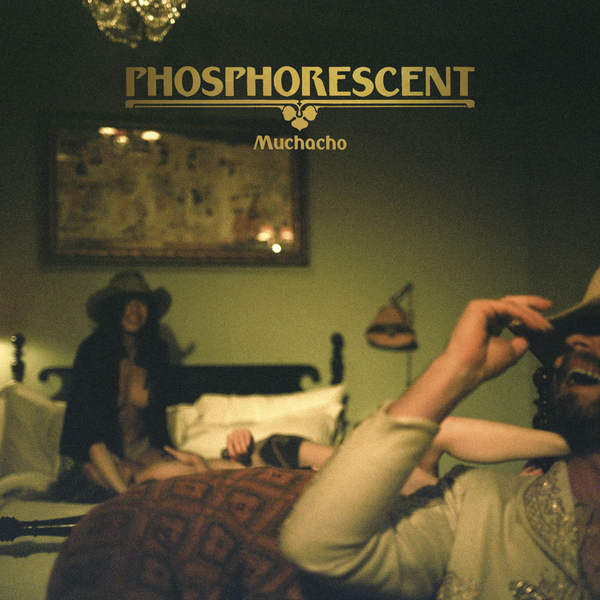 ‘Muchacho’ is, from start to finish, such an incredibly engrossing and engaging listen, exploring some of the Americana Matthew Houck, aka Phosphorescent, has become known for, but moving into a more studio-widescreen sound that has only been hinted at before. Already gaining plaudits across the media, this is going to be the breakthrough album Phosphorescent has been promising."